Disclaimer: My family and I were provided complimentary admission in return for an honest blog post. All opinions expressed are my own. I’m trying to squeeze out as much fun during these last few days of summer as possible. 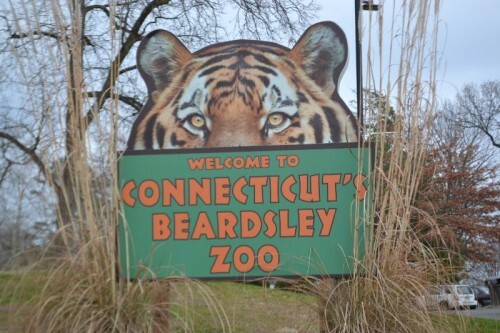 Since my kids started full-time kindergarten last week I wanted to reward them with a trip to the Beardsley Zoo in Bridgeport, CT. My kids have been on a big animal kick recently so visiting the zoo was a great way to unwind after a busy week. 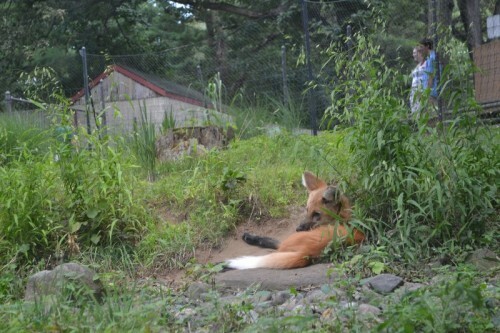 Beardsley Zoo makes a great local day trip. The size is not overwhelming for little kids but there are still plenty of ever-changing exhibits to make each visit fun and unique. 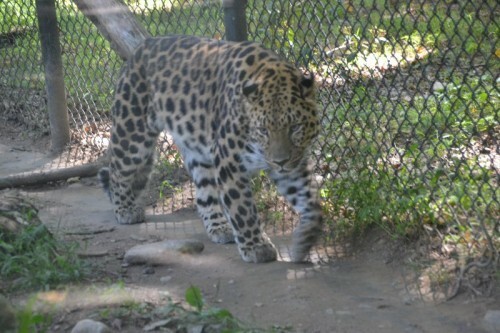 The Beardsley Zoo is the only zoo in Connecticut. It’s home to some pretty great animals. 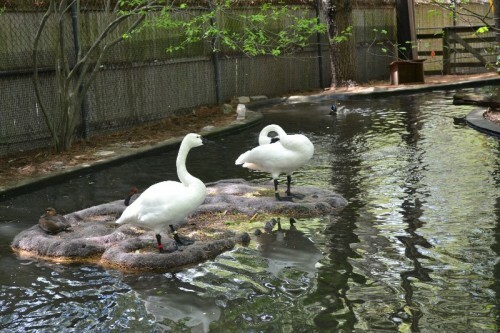 The zoo is committed to the rehabilitation and protection of many endangered animals. 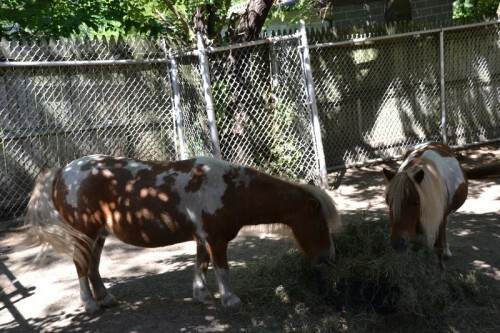 It’s also their mission to educate the public about these wild and majestic animals. 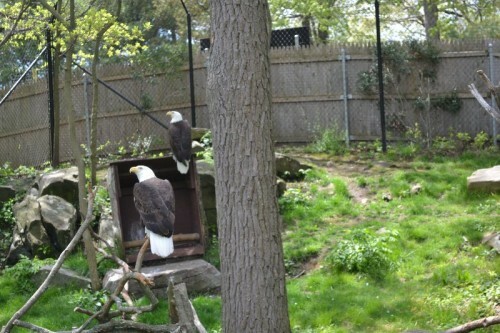 The zoo has wolves, tigers, monkeys, lynx, and bald eagles. 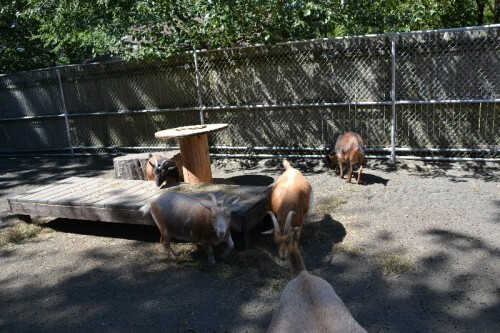 They have barnyard animals and a special rain forest house! 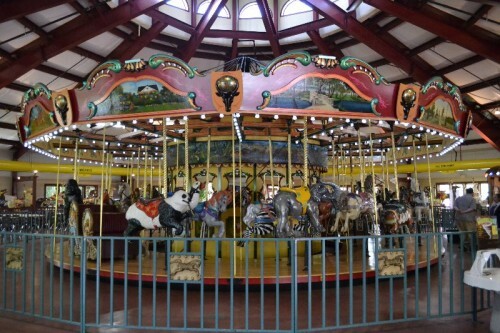 Along with their amazing animals, they offer special events, presentations, a carousel, learning adventures and a cafe. 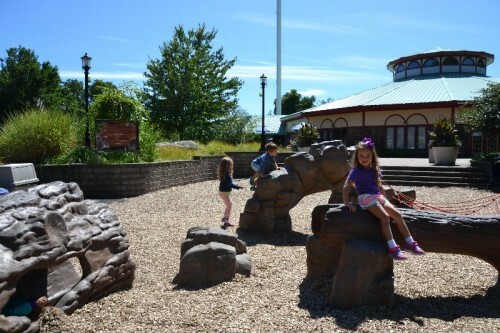 You can even have birthday parties and weddings at the zoo! Open year round from 9 am – 4 pm. Closed on Thanksgiving, Christmas Day, and New Year’s Day. TIP: Use AAA for 15% off tickets. Check your local library for discounted passes. Discounted tickets available for Aquarion customers. Strollers are allowed throughout the zoo except the rain forest house. You can also rent a single or double stroller for the day. 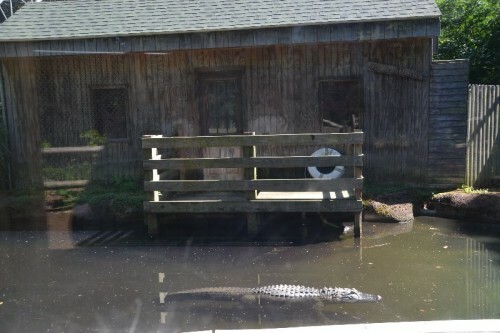 The zoo has a ton of different and exciting animals. 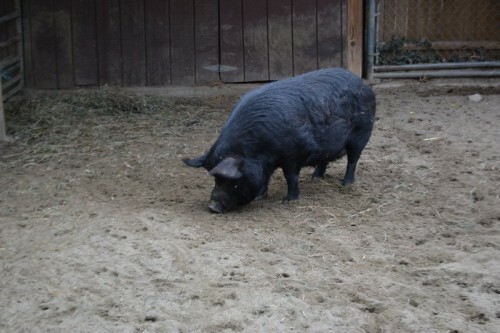 There are plans to breed a few sets of animals next spring. Here are pictures of a few of my favorites from our recent trip. 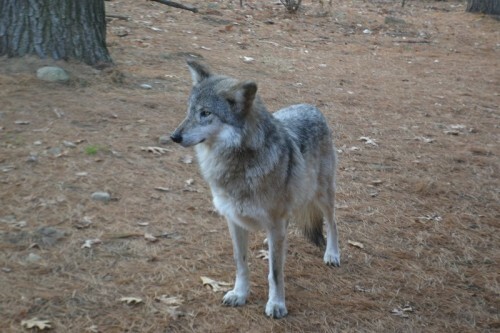 The zoo has a few different varieties of wolves. 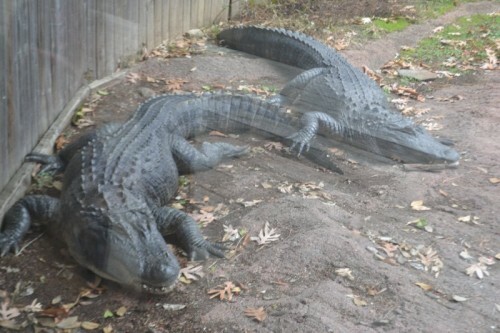 They’re kept in separate large enclosures with plenty of room to roam. 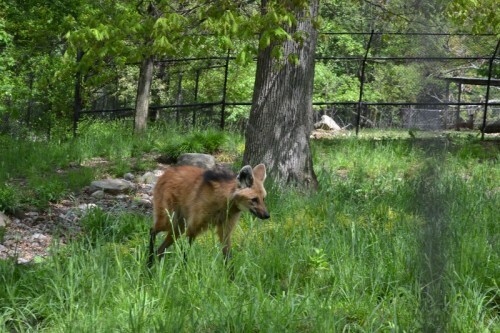 You can get a closer look at the wolves by entering the viewing area – it’s a small room with glass windows that give you an unobstructed view of the animals. The prairie dog exhibit is probably one of my kids’ favorite stops. 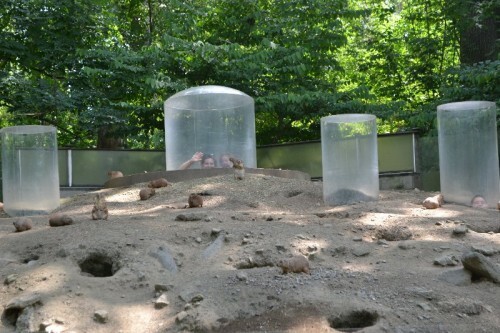 Prairie dogs live in tunnels underground. The exhibit lets families get in on the action by having tunnels and special pop-up viewing areas. 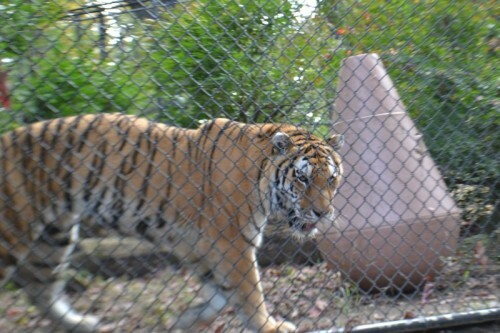 The big cats are in large cages next to each other. 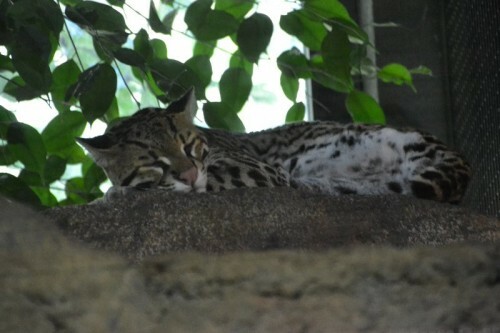 Like my sleepy house cat, these large breeds like their rest but if you’re lucky you might see them leaping and playing around their enclosure! 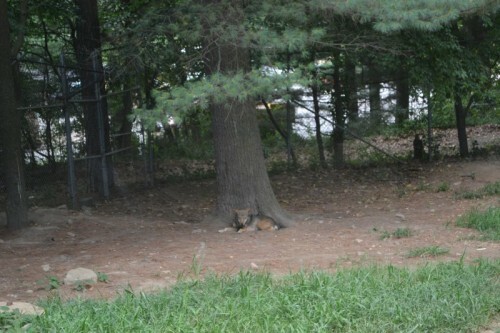 During our visit we got to see two baby lynxes and their mama. The rain forest house was my favorite. 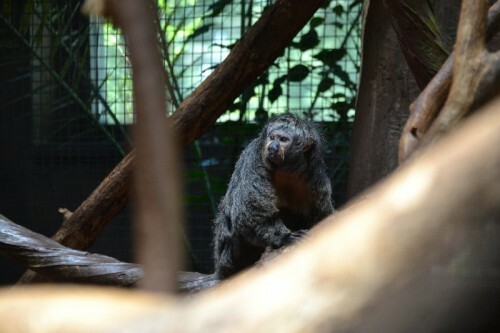 It was full of exotic animals including monkeys, reptiles and birds. Outside the rain forest house they are completing a butterfly garden that will certainly add to the allure of the area. 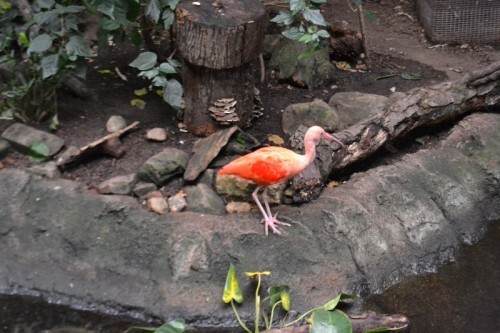 TIP: Since there is limited space inside the rain forest house no strollers are allowed. Consider bringing a baby carrier for this area. Past a small aviary you’ll find the wetland area. 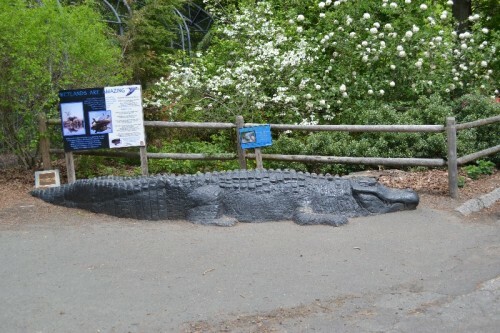 This path features playful otters, not-so-playful alligators, foxes, and a pair of Bald Eagles. 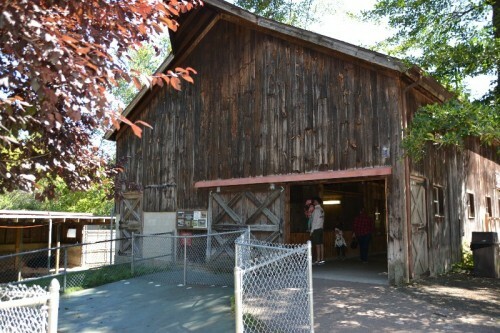 I visited the Beardsley Zoo as a kid and I always remember the farm area. I’m not sure if it’s because of all the ducks swimming in the water or that I was able to feed the goats, but not much has changed from my childhood. I believe that my kids will also have the same fond memories of this area. 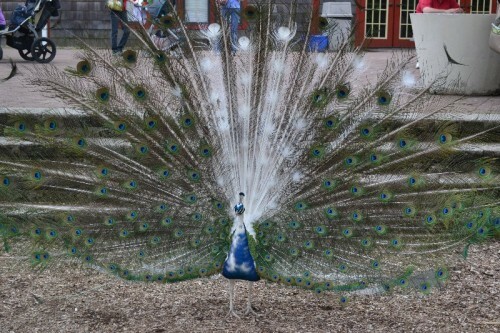 Everyone comes to visit the animals but the Beardsley Zoo has beautiful grounds, a fountain, carousel, play area, picnic tables and beautiful peacocks roaming free. It’s a perfect place for a day trip no matter your age. 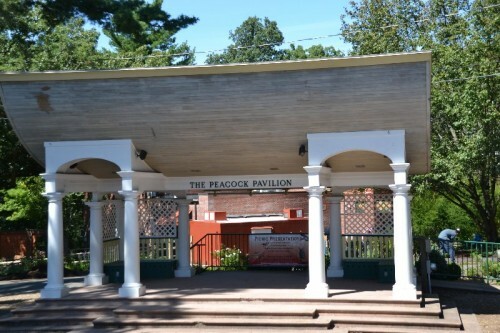 The Beardsley Zoo is the the perfect day trip for anyone in Connecticut and the surrounding area. 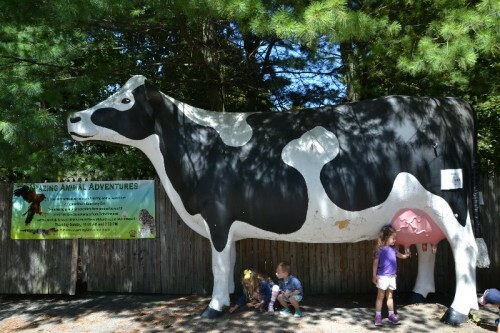 It’s one of my favorite family-friendly destinations in Connecticut. 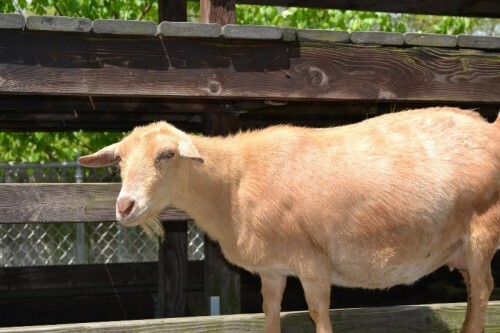 It’s a great way to get up close and personal with some exotic animals from around the world. 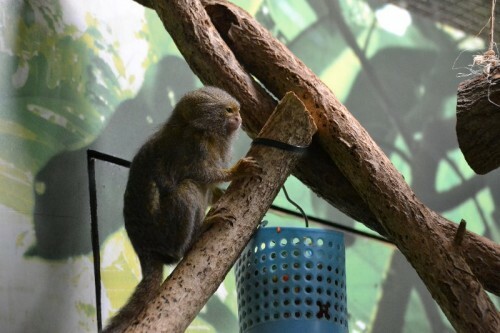 The zoo is always expanding new exhibits and improving old ones so there is always something new to explore.